Akyoh claim to be a “technology investment company which based in Cyprus (EU)”. Beyond that statement however there is no evidence of Akyoh having any business operations in Cyprus. It’s also worth noting that Cyprus is a known jurisdiction for having little to no MLM regulation. Incorporation of an MLM company in Cyprus is typically done when a company can’t legitimately incorporate itself in a reputable jurisdiction. Cited as President of Akyoh on their website is Christian Lipovec (right). Up until recently Lipovec was promoting the AladinCoin Ponzi scheme. After a few days at the company now on the way back to Austria! It was very impressive to see how all grows up at Aladin Capital! 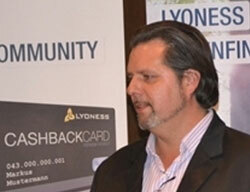 Prior to AladinCapital Lipovec was an active Lyoness affiliate. Although Lipovec appears to be based out of Austria, Akyoh is primarily being promoted across Vietnam. Alexa currently estimate that Vietnam makes up 96% of traffic to the Akyoh website. Somewhat curiously, visitors to the Akyoh website are informed the company will be holding a “grand opening” in Cambodia on September 15th, 2018. Other than serving as a venue adjacent to Vietnam that is unlikely to arouse the suspicion of Vietnamese authorities, the connection between Akyoh and Cambodia is unclear. Read on for a full review of the Akyoh MLM opportunity. Akyoh has no retailable products or services, with affiliates only able to market Akyoh affiliate membership itself. Akyoh marketing material suggests package ROIs are paid out over 6 months. Note that although investment amounts are quoted in USD, Akyoh only accepts bitcoin or a combination of bitcoin and the avana altcoin. Akyoh pay referral commissions down three levels of recruitment (unilevel). 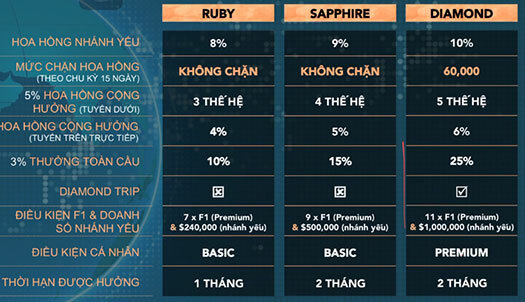 The Akyoh compensation plan details several rank-based bonuses. Rank requirements appear to be the usual; a combination of minimum personal package investment, getting others to invest and personal recruitment of set numbers of investing affiliates. If we have any readers fluent in Vietnamese who can provide more detail, feel free to do so in the comments below. Akyoh affiliate membership is free, however affiliates are required to invest $180 or more to participate in the attached income opportunity. What with AladinCoin having collapsed, Akyoh appears to be a reboot attempt specifically targeting Vietnamese investors. Akyoh’s investment packages are named almost identicial to that of AladinCoin, so you might even presume both companies are being run by the same scammers. Akyoh’s integration of Avana Coin is also a red-flag. Avana Coin appears to be an ERC20 shitcoin token that isn’t publicly traded outside of one or two dodgy exchanges. It is likely that these exchanges have been set up by AladinCoin/Akyoh, which means they’re pretty much internal exchanges with little to no use outside of company affiliates. What I wasn’t able to ascertain is whether or not Akyoh’s ROI payments are made in Avana Coin. I’m leaning toward yes, as there wasn’t any mention of bitcoin ROI payments in compensation material I came across. As I understand it Akyoh work in USD but accept new investment only in bitcoin and Avana Coin. Withdrawals are paid in Avana Coin, after which it’s up to Akyoh affiliates to offload the coins onto unsuspecting victims. In this sense Avana Coin serves as the primary money laundering vehicle for Akyoh’s investment fraud. On that note, Akyoh claim to generate external ROI revenue through an AI trading bot. Akyoh Trading Artificial Intelligent (A.T.A.I.) is the most advanced, revolutionized trading bot. 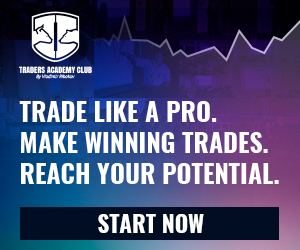 A.T.A.I features a wide range of settings and specifications designed for both beginner and advanced traders. Naturally there’s no evidence of Akyoh’s trading bot existing, or being used to generate affiliate ROI revenue. Furthermore Akyoh’s claims fail the Ponzi logic test. If Akyoh’s owners had access to a trading bot that consistently generated 200% returns every six months, they’d keep it to themselves. Why waste your time soliciting investment from randoms over the internet? Bear in mind AladinCoin claimed it was “back up by financial institutes and hedge funds”, but it still collapsed. So take anything Akyoh says about external ROI revenue generation with a load of salt. As it stands right now, the only verifiable source of revenue entering AladinCoin is new investment. Using new investment to pay existing affiliates a ROI makes Akyoh a Ponzi scheme. AladinCoin and its AIC shitcoin collapsed. The scammers running it have rebooted as Akyoh and are now using the Avana Coin shitcoin. As with AladinCoin, Akyoh investors can expect widespread losses when the Ponzi collapses. Which will likely happen sooner rather than later, as reboot scams rarely reach the levels their predecessors did.